Sociable! 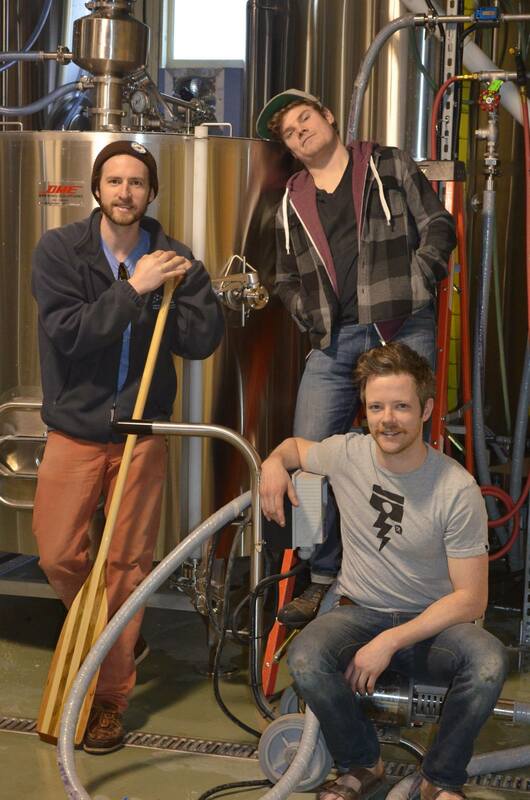 is the passion project for Helen MacGillivray and Chris Thomas, two Nova Scotian filmmakers who spent weeks and months on the road, shooting during the 2015 NS Craft Beer Week, touring the province’s breweries and meeting the people behind the beer we all enjoy. The film is now ready for release, so we caught up with Chris and Helen to learn more about them and the film. Can you tell us a little about yourselves? Chris: I’m a Nova Scotian. I grew up here, went to university here, and then went to Ontario for graduate school and work. I’m a medical physicist at the cancer centre here in Halifax. Helen: I’m also Nova Scotian, grew up here and went to university and then the Screen Arts program at NSCC where I learned the art of independent filmmaking. I worked in the film industry for a while and then somehow became a cook and now I work at the hospital and do things like this film on the side. Members of the winning team during the 2015 Race the Kegs event, Boxing Rock, Gahan, Hell Bay, and Sea Level. How did you get into local beer? Chris: I started getting into local beer when I lived in Ontario, which further developed when I moved to Chicago for work. Once I realized that there was more to beer than the bland, tasteless stuff from the big breweries, I really became interested in drinking local and interesting beers. Once I moved back to N.S. and realized that there was a growing craft beer scene here, I started exploring the local craft beer. For me it’s about local, handmade beer and supporting local businesses. Helen: Honestly I hated beer for the longest time, and then a filmmaking friend gifted me a case of Propeller as a thank you for screening his film in an event I organized, and I was like, hmmmm….this isn’t the swill I remember drinking when I was 16….er, I mean 19…..and it went from there. Having a culinary background gives me a huge appreciation of the tastes and complexities and sheer variety of local craft beers, and as Chris is a huge beer nerd I keep learning more and more from him. Can you tell us about the movie? Helen: At first we were just hoping to tell the story of the community of craft brewers in Nova Scotia, and we have, but over the year and a half we shot, it became more than that. It became a story of craft brewing itself; the struggles and rewards of opening a small, creative business in a province that’s not always easy to make a go in, of changing peoples minds about what is good, about getting s*** done in a east coast snow storm…..
What have been some highlights of the filming process? 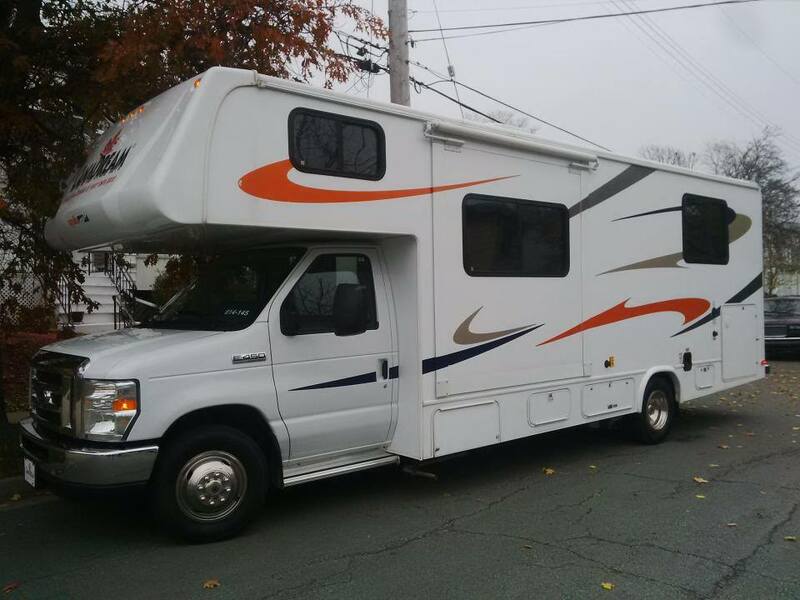 Chris: Definitely the RV trip from Nyanza to Shelburne in windy, rainy weather, mid-November with an anxious dog. But also of course, the openness from everyone we met who are passionate about what they make. Helen: Oh gosh yes, the RV trip, what an adventure. It’s so amazing to have traveled outside the hub of the city to see these rural breweries who are just thriving! As someone who grew up in the sticks, I remember a time when the smaller communities had very little in the way of choice of beers, not to mention the fact that because of that, a person would choose their beer and drink it exclusively. Now you have people driving way out of their way to get their growler filled at Big Spruce or Bad Apple or Tatamagouche. It’s awesome! But for me I think the most amazing part of the whole project was seeing the Good Robot guys through their entire process. We met them at the Craft Beer fest almost two years ago when they were still Wrought Iron and their sign was made of bristol board and sparkles, and we were there to witness many major milestones for them, right up until the one year anniversary of their opening. To see how far they’ve come, with such sheer will and hard work, is inspiring. I feel so proud of them! Can you tell us about the premiere event? 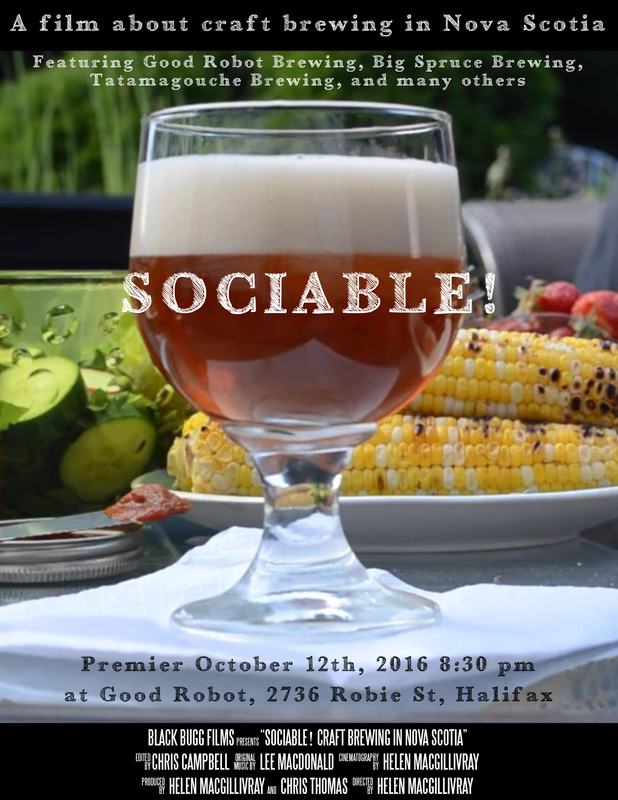 Chris: Our friends at Good Robot Brewing are hosting our premier. They’re featured in the film as we followed them from their initial construction all the way to their opening and beyond. The premier will be at their outdoor space on October 12th, 2016 at 8:30 pm. Helen: Yeah, as of right now (September 26th) that’s all we know, but if you know the Robots, you’re aware they know how to throw an event, so it should be awesome. We’re really proud of the film so whatever happens, we’re just happy to be able to share it with people! Congratulations to Helen and Chris on the release of their film! You can check out some behind the scenes and interview pieces on their Facebook page. For those unable to attend the premiere, look for more ways to see the film coming soon, including more screenings across the province! ← Friday Wrap-Up – News from TrailWay, Schoolhouse, Sunset Heights, Boxing Rock, Big Spruce, North and more!